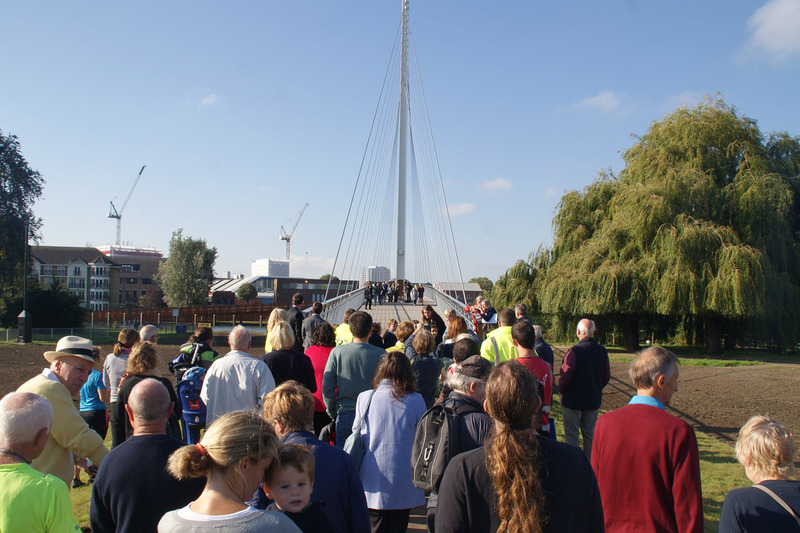 The Reading Thames bridge was officially opened by Reading’s mayor Sarah Hacker last week. The shared pedestrian and cycle bridge was designed in collaboration with Peter Brett Associates. Located to the east of Fry’s Island, between the existing Caversham and Reading Bridges. The 120-metre cable stay bridge will play a vital role in the connectivity of Reading, forming a key part of a sustainable transport link between the town’s northern residential areas, the Reading Station transport hub and the town centre that will help to improve accessibility and support economic growth. This project forms one part of a wider strategy and long term vision for the continuing regeneration of Reading Town Centre. It is one of a number of projects funded through the Department for Transport’s Local Sustainable Transport Fund. The unique design solution is tailored to a confined site, with built-in adaptability for potential future extensions. 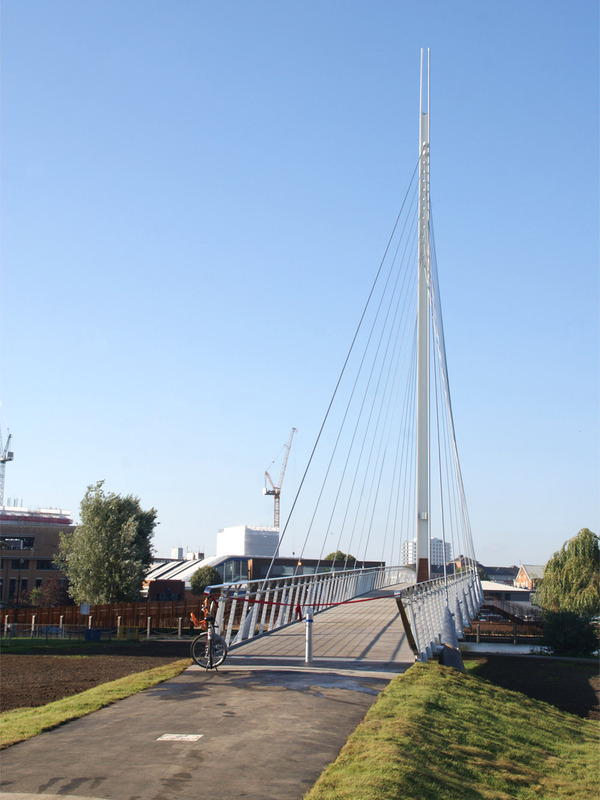 The bridge ranges in width from 3.5m-6.75 m. Its 8 sections of slim steel decking are supported by 14 pairs of cables; while its 39-metre mast has helped to create a landmark structure that is visible from Reading Station and other key vantage points in the town. Other unique features include an LED lighting scheme, creating an addition to the night-time landscape that is both practical and eye-catching.